Another year has passed and another champions league season finale is here featuring The Greatest Football Club ever and One of the most popular and Historic nglish football club ever. One is Liverpool and the other is Real Madrid. Yes. The order has been purposely made wrong in order for me to clarify if you are a proper football fan. Anyway, let's come back to the discussion. The final is going to take place in the capital of Ukraine on the ground of their home football club Dynamo Kyiv. This prestigious club once used to reach UCL final consecutively. Now they mostly struggle to reach the 2nd round. Good news for them that they have secured the audience panel of this year's final. As for the teams that have reached the final, Real Madrid as you and I all know are going to defend their championship for the 2nd time in 3 years. If they win this year, it will be historic. As no other team has ever won this title three times in a row. For a player of Real Madrid this is nothing more than an achievement worthy of being called legendary which they will want to lay their hands on no matter what. And the one standing in their path in this is an English club who have an endless historic remarks. Just google on Liverpool's last champions league triumph. The game against Ac Milan in 2005 is still considered as one of the Greatest Champions League Final of all time. Steaven Gerrard as the captain that year reached a height where no English player have ever reached. Except for David Beckham. 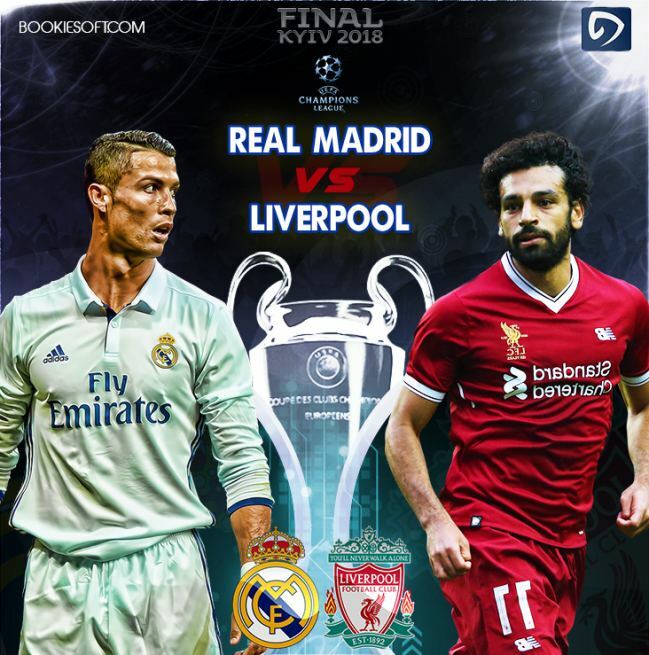 The main key players of this year's final is going to be pretty obviously Christiano Ronaldo and the rising up star of Liverpool Mohammed Salah. Both are in their prime form this year winning glories here and there and everywhere for their team and themselves. Two unstoppable force who will keep the defense of both teams very busy. Mo Salah have scored against all teams of champions league they have played against this year and so is liverpool whom are undefeated in champions league this year. If they can continue this till the end of 90 minutes of this years final, we are going to see a new champion in last 3 years. But it's merely a dream for the Liverpool bunch with Real Madrid as their opponents. Real Madrid is considered as a team who rarely loses a final. And they have showed their solid dominance in finals most of the years in which they have reached it. With all speculations and expectations set in line, this years final is going to be one to remember. Who are you betting on in this show of the month? Bettings are on in bookiesoft.com. The world-wide leader in sportsbetting. Havent become a member yet? Join now and enjoy 2 weeks of free services. With the world cup coming next, there is no better offer than this.